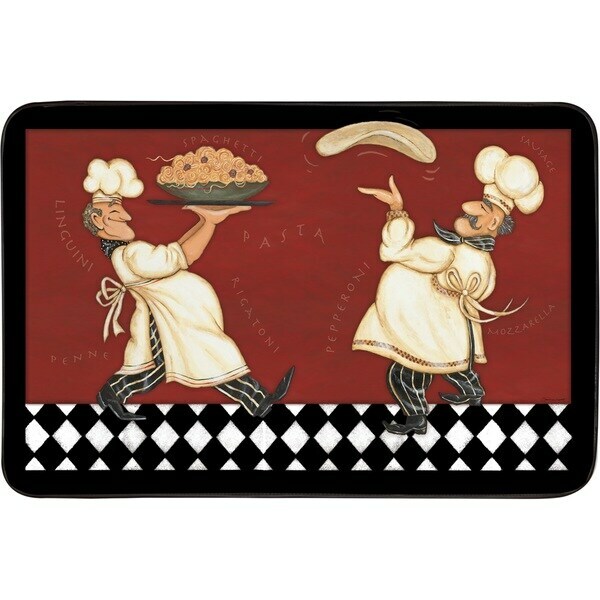 Chef Gear Chef of the Year Anti-Fatigue Gelness Comfort Chef Mat - chef of the year - 1'5" x 2'5"
Decorate your kitchen with this modern anti-fatigue kitchen mat featuring a multicolored chef design. This sturdy indoor mat boasts a spill- and stain-resistant structure for added durability. Goes great in my kitchen. Very good support for legs. Nice color. Ottomanson Siesta Collection Beige Kitchen Collection Chef Design Runner Rug (1'8 x 4'11) - 1'8" x 4'11"